Step into your next level of impact as an influencer or leader. Improve your family relationships as a parent, a sibling, or as a grown child. Make smarter choices faster every day. Make smarter choices every day. Breed better habits. Awaken your potential + your family's potential. When you clarify your values you make better choices. You generate better habits. You open doors to more connectivity in relationship. You stop violating your own values and step into deeper integrity with yourself. When you do it with your peeps - you crack your clan's code. And the magic of easeful living is released. 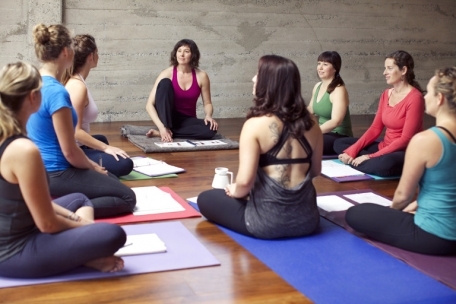 Plus a free Awake Living Coaching session with a Yogahealer coach. We only leave our free workshops up for a limited time. After doing the workshop you'll make smarter choices more easily. You'll be a better, smarter, more integrated version of you. "Until you've "Done Your Values" you haven't done your values. Which means you can't leverage your values. The values workshop makes all the difference. In the Yogahealer and Yoga Health Coaching courses, you'll often hear a course mentor ask, "Have you done The Values Workshop" yet? The reason they ask if because they can tell that the person has yet to leverage their values in their day-to-day decision making. Do your values. Once you do, you can lead and train to your values. Until then, good luck. do the workshop with your clan. Cate is known for her ability to enable wellness providers to grasp and implement the necessary tools and strategies for their unique success. She was recently named in the Top 100 Trailblazers in Yoga + Ayurveda by Spirituality & Health Magazine. She wrote and published Amazon Best Seller: Body Thrive: Uplevel Your Body and your Life with 10 Habits from Ayurveda + Yoga. 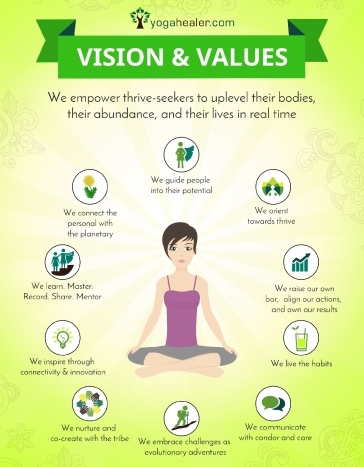 Since 2001 Cate grown Yogahealer.com to spread the teachings of Ayurveda, Awake Living, + thrive around the planet.